© 2000-2019 by John Von Haden All rights reserved. Listed below are newspaper stories, birth, marriage and death certificates and family group sheets available for genealogy research in Wisconsin and back into Germany, Luxemburg and France. This website does not have any shopping cart features, but you can click here to search this site for other surnames or to prepare an order form with multiple specific surnames that start with various letters. This list was last updated on April 19, 2019. 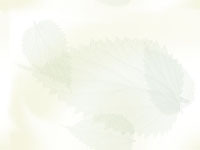 Return to Genealogy Home Page.